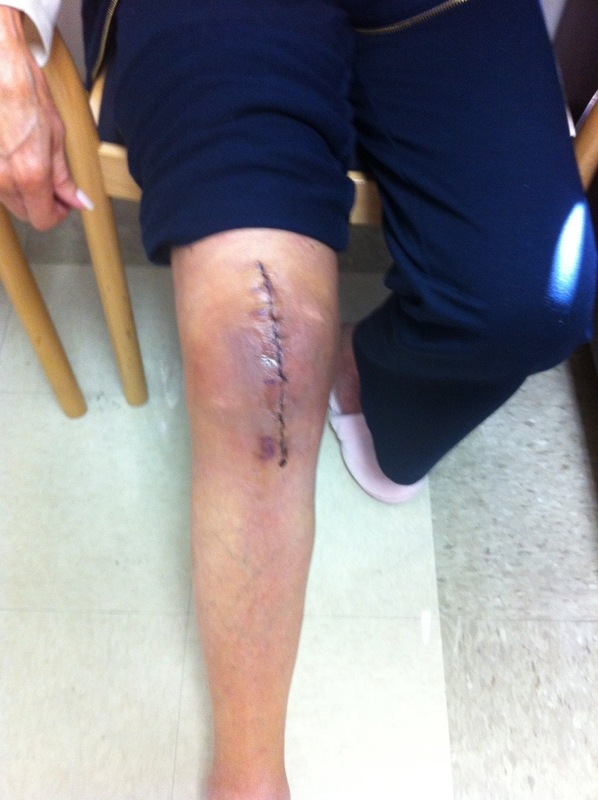 Here’s a pic of a total knee replacement four weeks post op. The doctor fixed a 26 degree Q angle (angle between the thigh and shin). The normal female Q angle is 17 degrees. I can tell you that the patient has returned to all activities of daily living with a 1-2/10 pain at most now 4 months after surgery. I’m always an advocate for keeping your original parts as long as possible, but I’m glad that after 20+ years of living with her ailing knee after an injury, this patient is in a much better position.